When the East Kent Light Railway (EKLR) was constructed to serve the Collieries being developed in East Kent, Eastry Station was a main junction for the lines from Wingham to Eastry and from Shepherdswell to Richborough. 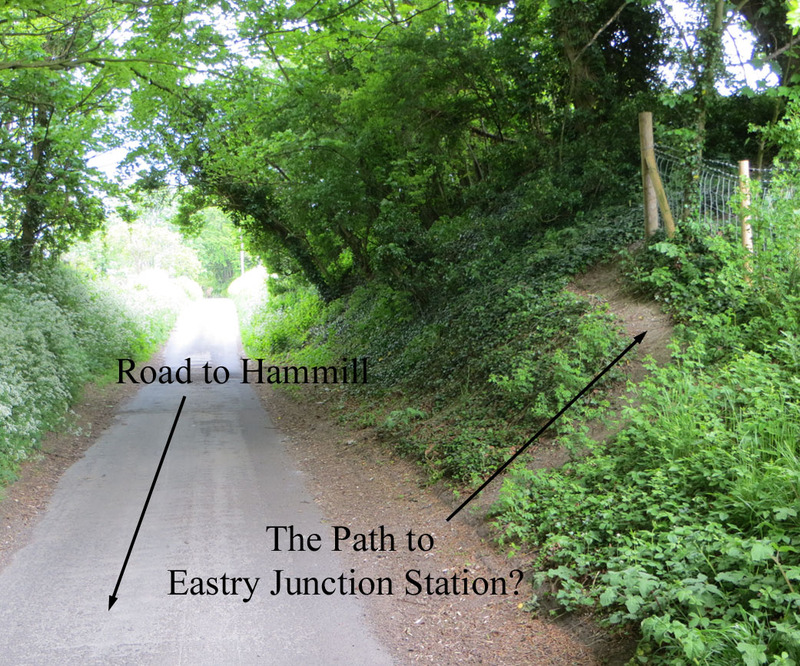 In the following sections I have used information from references listed in the Bibliography section, including pictures which I have annotated, to show how Eastry Junction and the associated Railway Halts were significant locations during the operation of the railway from 1912-1948. In the 19th century there was a heavy demand for coal to fuel the paper and cement industries, steamships, the gas industry, the steel industry, brickworks and domestic heating. The East Kent coal mines started to be developed after the first coal seam was discovered beneath the chalk at Samphire Hoe, Dover in1890, following the termination of building the Channel Tunnel in 1884 (1, Chapter 1) In the next few years over 40 borings were made on the East side of Kent and colleries were established at Tilmanstone, Guilford, Stonehall, Snowdown, Goodnestone &Woodnesborough, Chislet and Wingham (2). There are more details about the development of the Kent Coalfield, relating to Eastry in D. Welby's book (4). After Stephen's death in 1931 his long-term deputy, W.H. Austen, managed the EKLR in a realistic and efficient way during the years of the economic depression. He still continued to manage the railway during the WW2 years from 1939-1945 when the railway was taken over by the Government and finally in 1948 the EKR was nationalised and became part of British Rail. In 1910 the Kent Coal Concessions Group applied to the Light Railway Commissioners for authority to incorporate and construct the East Kent (mineral) Light Railways and the East Kent Light Railways Order 1911 was officially confirmed on 19th June 1911. However, not all these extensions were approved because of various disputes with local authorities, landlords and the Ecclesiastical Commissioners. The only ports which were ever directly connected to the EKLR were Dover and Richborough. By October 1912, the track had been laid to Eastry, which was intended as the junction for both the Richborough and Wingham lines, The line from Eastry to Wingham Colliery had a short branch from Woodnesborough to Hammill Colliery. The original plans were for the new railway to run from the main SECR Canterbury to Dover line at Shepherdswell via Eastry to the River Stour at Richborough, where a wharf would be provided so that coal could quickly be exported by ship. The plans also included a branch to Guilford Colliery from Eythorne and a loop to Tilmanstone Colliery. At Eastry Junction , it was intended the line would fork and while the original line from Shepherdswell continued N to Richborough, a second line would head NW to connect with the main SECR Canterbury and Ramsgate line at Canterbury West, via Wingham. The initial plan included 30 miles of track but only ~19 miles of track were approved at this time. The line from Eastry to Canterbury terminated at Wingham . The 1/2 mile extension from what became Wingham Colliery Halt to Wingham Town was not built until 1920 and the line from Shepherdswell to Richborough terminated at Sandwich Town. 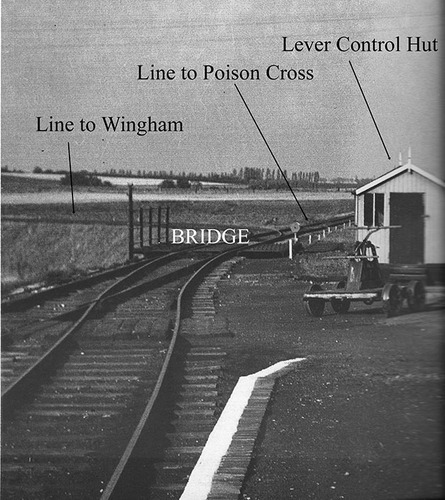 The Richborough connection was not made until 1928, when bridges were built over the SECR Railway (became part of Southern Railway) and over the River Stour to Stonar Wharf. Unfortunately by this time Richborough Port was in decline. 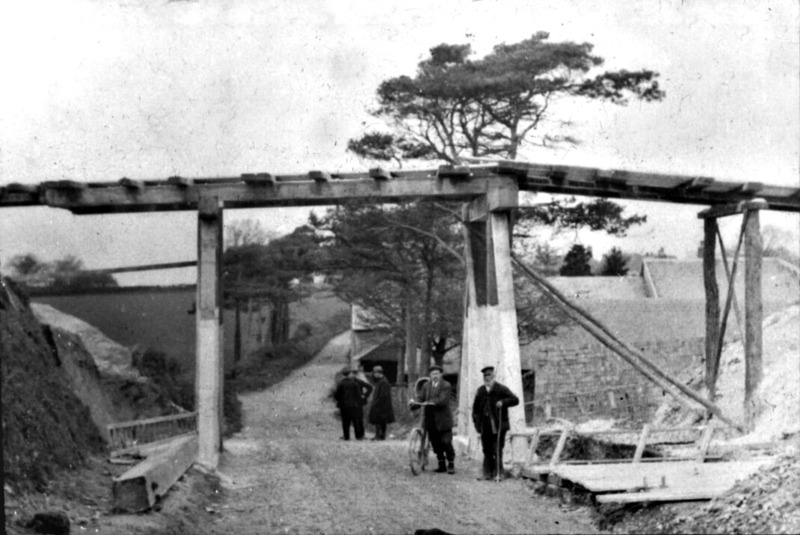 By 1914, 20 miles of temporary lines connecting 4 collieries had been constructed. Building materials and equipment for the collieries could then be transported without using roads, farm tracks or muddy tracks which were being damaged. 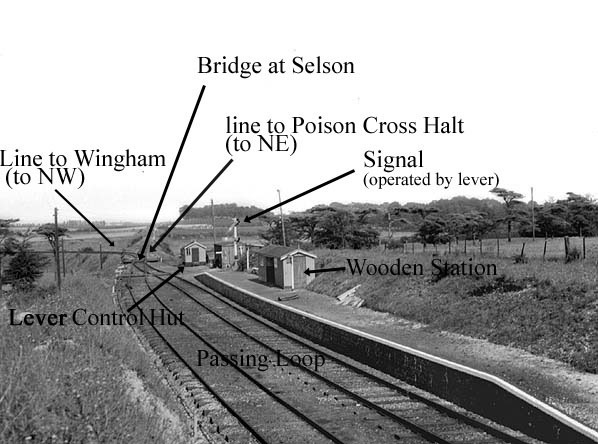 By 1916 permanent single track railway lines with passing loops were constructed with a gauge of 4ft 8½ ins. The first passengers were carried in 1916 with just a few facilities being provided for them. By 1917 the first 19 miles of the planned EKLR were completed and further extensions added later as stated above. A map of the EKLR EKLR Large Map shows the extent of the line by 1930. The Line was used to convey coal, goods, minerals, livestock and parcels. Although the EKLR was intended to serve a large number of collieries, most of the income for the transport of coal products came from Tilmanstone Colliery. Coal was transported from the Tilmanstone colliery by EKLR from 1913 until British Railways took control in 1948 . An ariel ropeway officially started operation in September 1930 to carry coal from Tilmanstone to Dover Harbour in competition with the EKLR. However, the EKLR continued to transport 80% of the coal , via Shepherdswell junction . The ropeway closed at the start of WW2. The section of the EKLR railway from Tilmanstone Colliery to Shepherdswell remained in use until the pit closure in 1984. 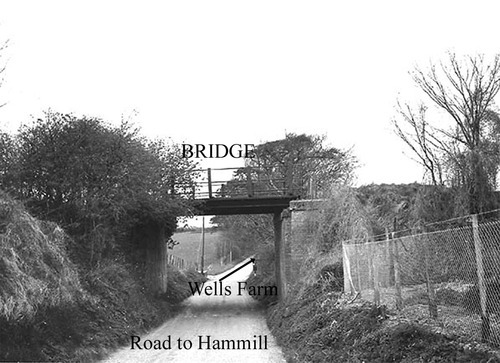 Eastry Junction station, South of the Hammill Road, was on the opposite side of the road to Wells Farm and opened to passengers on October 16th 1916. It was sometimes known as Eastry Town station and was one of five staffed stations on the line. The Wingham and Richborough lines converged North of the bridge but the Junction to the Wingham line faced South to Shepherdswell and not towards Richborough as originally intended in 1910 (ref 1, p33) . An additional short line was proposed between the Wingham and Richborough lines which would have formed a South facing connection between the two main lines. 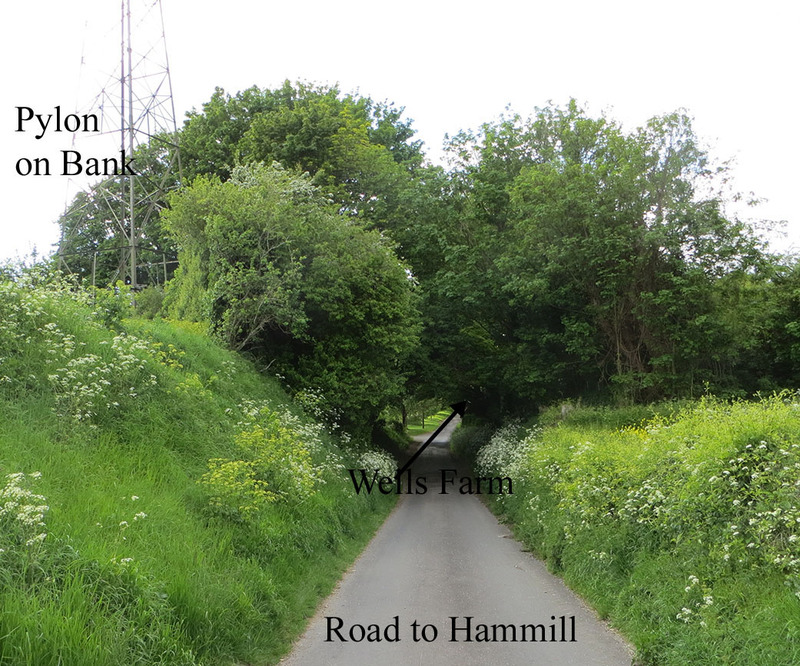 However, this was was not approved because it would sever Wells Farm and cause legal problems. The construction of a Richborough facing connection was started in 1926 but never completed (ref 1, p143). Between Eastry Town and Woodnesborough Stations there was a branch line to Hammill Brickworks (formerly Woodnesborough Colliery) operated by a narrow gauge line which crossed the clay pit. Passenger services between Eastry and Sandwich Road Halts were withdrawn on 31st October 1928. When the railways were Nationalised, the line became part of the British Railways Southern Region and all passenger services were completely withdrawn on 1st November 1948. British Rail finally agreed to remove the bridge over the roadway at Selson in 1971. Eastry South Halt was situated in Heronden Road on the south side of a footpath 50 yards west from the junction of Mill Lane and Thornton Lane. Local farmers requested this halt to be built in 1918 “ … to save cartage, which is difficult to arrange because of the crisis” (1, p101) The siding was built by EKLR staff after approval by the Board of Trade. No trace of the halt survives and the site is now an arable field on the edge of a new housing development called Heronden View. 1 M. Lawson Finch & S.R Garret “The East Kent Light Railway, Vol. 1 : The History of the Independent Railway”, printed by Oakwood Press Ltd., 2003. 2 P. A. Harding “Memories of the East Kent Light Railway”, 1st edition 1997, reprinted 2008. 3 D.Welby, “Kentish Village of Eastry 1800-2000”, p115-117, printed by Press on the Lake, Sandwich, 2007. Detailed accounts of the construction of the EKLR to serve the colleries discovered in Kent are given in the above references. In “The History of the Independent Railway “ there are detailed accounts of the stages in the development of the railway relating to the Kent coal field. I would like to thank Nick Catford "http://www.disused-stations.org.uk/ for his permission to access information from the Disused-Stations website.